The CosyVerif platform offers a set of services that can be operated on models. Each model must respect the definition of a formalism. Then, when you connect to CosyVerif using a client, you may browse and activate the services that are available for this formalism. The sections below provide more information about services. What is a formalism of CosyVerif? The formalism is described in a dialect of XML called FML. Here is an example of an unlabelled oriented graph with a single kind of vertex and edge. Suppose that we want to check reachability. First we give names to vertices, then we add an attribute to the vertices denoting the initial vertices. By default, this attribute is false. Finally if the graph has an identifier called title, a global one is defined as follows. How to define a model of a formalism? A model of a formalism is also described in a dialect of XML called GrML. Once the formalism is defined, a tool integrated in CosyVerif checks whether the model conforms to the formalism. The graph pictured below is followed by its GrML representation. 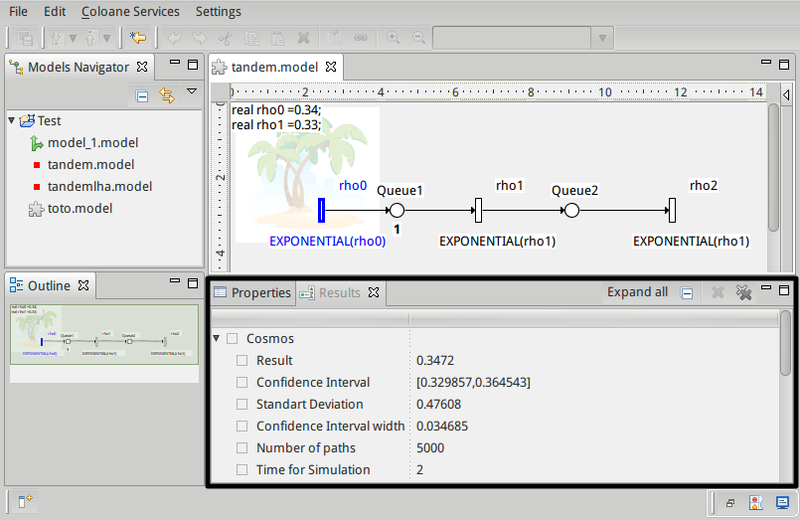 At any time during model edition by Coloane, the user may invoke the related services (see figure below). 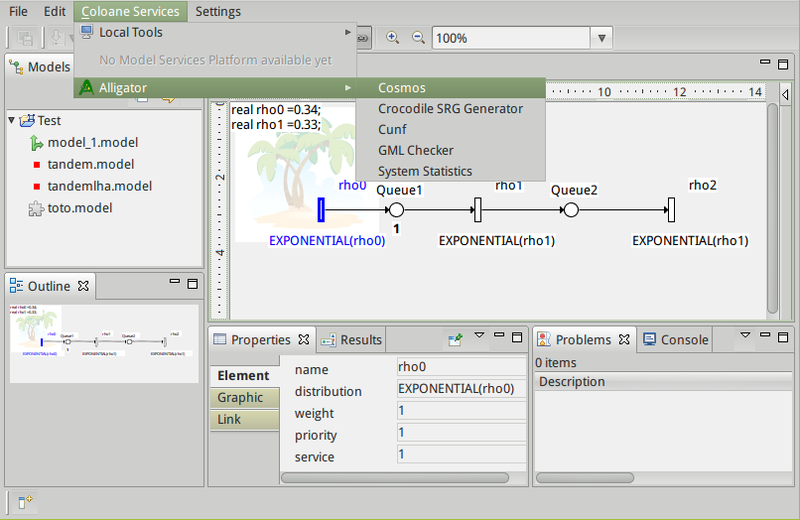 Then, after selecting a service (here Cosmos), the user is requested to provide the parameters of the invocation (see figure below). 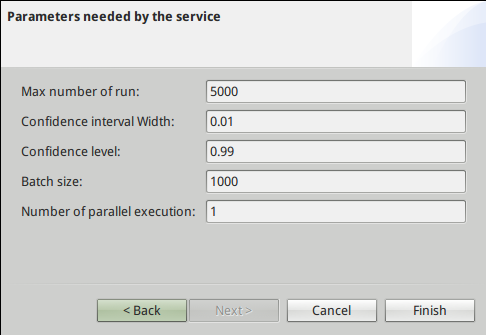 Once the service has finished, the results can be seen in the Results View (see figure below).